GB lost 30-37 to Luxembourg despite a staging an epic second-half fightback. The team were left ruing a poor first half that left them with too much to do after the break. GB made another slow start and were 4-0 down after six minutes, but seemed to settle as they pulled the score back to 3-5. However, this signalled the start of a dominant 15-minute spell for Luxembourg. The Group-B table-toppers took the score to a commanding 18-6 as GB failed to put away their chances. A late rally by GB stemmed the tide and they went into the half time break 11-20 down. GB traded goals with Luxembourg at the start of the second half, but a quick 3-0 exchange saw Luxembourg 11 goals ahead. However, again GB showed great character as they tightened the defence and took control. In just 10 minutes they reduced the deficit to 27-33. With two minutes remaining GB trailed 29-34, but a late two-minute suspension broke their rhythm and Luxembourg ran home 37-30 winners. Ryan Goodwin top scored for GB with 10 goals, while Jordan price added five and Brian Lindsay four. GB Head Coach Ricardo Vasconcelos commented: “We came to the tournament to develop and, as the results show, we ended up in the perfect group for this with all the teams very competitive. 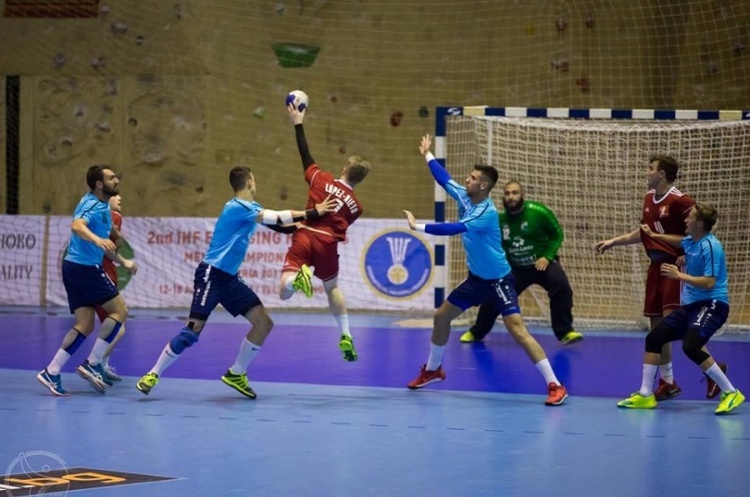 GB finish third in group B behind Luxembourg and Georgia, with Malta in fourth place. The top two qualify for the main play-offs, meaning GB now go into the knock-out phase in the second tier, for places 9-16. They play Albania in the quarter-final on Friday at 14.00 (UK time).